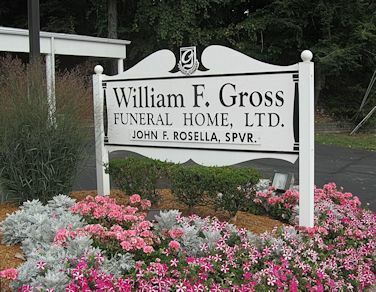 The William F. Gross Funeral Home LTD has been serving Penn Hills and the east suburbs for over 50 years. We are centrally located in the heart of Penn Hills Pa. on Frankstown Rd at Rodi Rd. We are a family owned and operated full service funeral home serving all denominations. We are located near many of the Pittsburgh areas largest cemeteries. Our guiding principles are to provide the most dignified services to the families we serve at a reasonable cost. We help families in celebrating the life of their departed family member or friend in a meaningful way. We are proud that thousands of families have put their trust in us through the years. We take this responsibility seriously and never for granted. Thank you for taking the time to visit us. Should you have any questions or need help with pre-need or at-need services please contact us immediately. Call us for more information about the Funeral Services that we provide.